Pay a visit to the Greyhound careers page at apply.firstgroupcareers.com or firstgroupcareers.com is the very first step to apply for a job at Greyhound. When entered into, you will be rendered three methods to search for job vacancies at Greyhound. 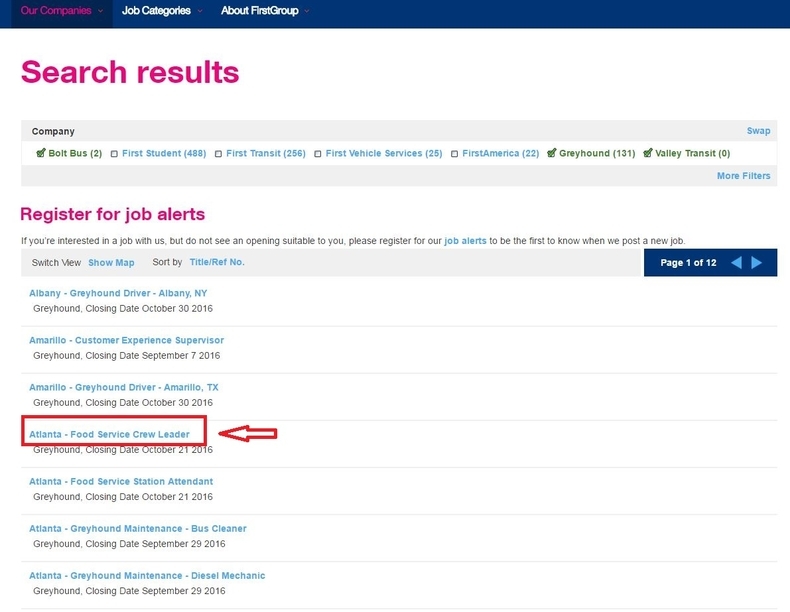 The first one is to find jobs near your location by clicking "Find jobs near you". The second one is to search jobs by company, simply click "Greyhound" and you will get search results. The third one is to search jobs by job category. There are six main job categories at Greyhound, just choose one to continue. Here the second method will be taken as an example. 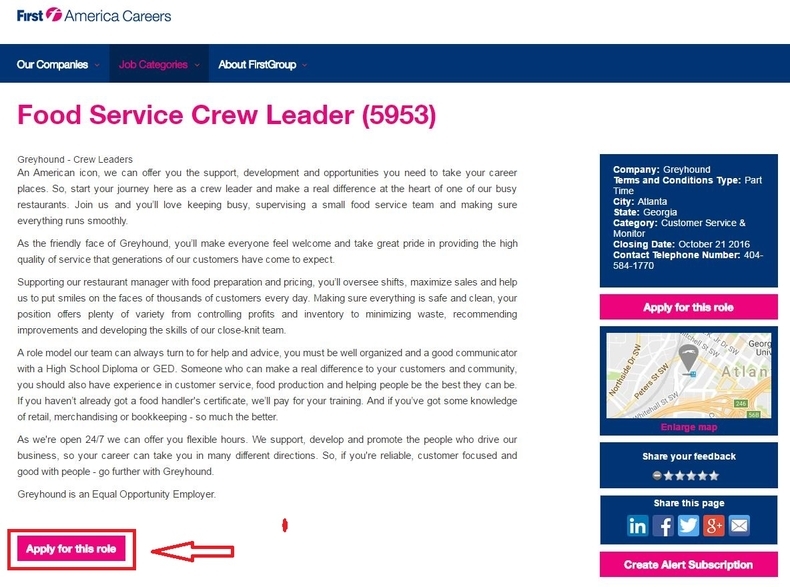 You will go to a search results page on which all the job opportunities at Greyhound are listed. Choose one position that you'd like to apply for by clicking the job title directly. After choosing the position, a job description page will appear which explains in detail what the position is about. Read this page carefully to see whether it suits you or not. 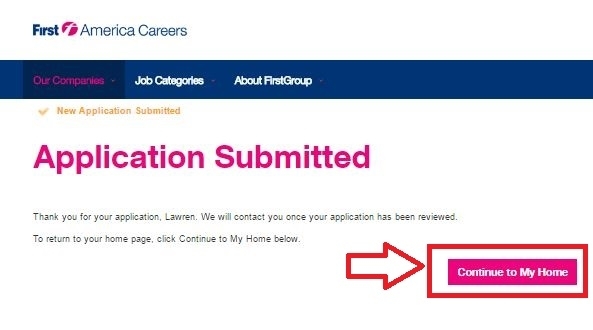 Once you decide to apply for it, click the button "Apply for this role" to go forward. Read the instructions on this page to figure out what will be reviewed if you get an offer from Greyhound. And you need to answer the question "The minimum age to work at Greyhound is 18yrs. Do you qualify?" before clicking the "Continue" button. A new user account must be created if you want to further your online application. 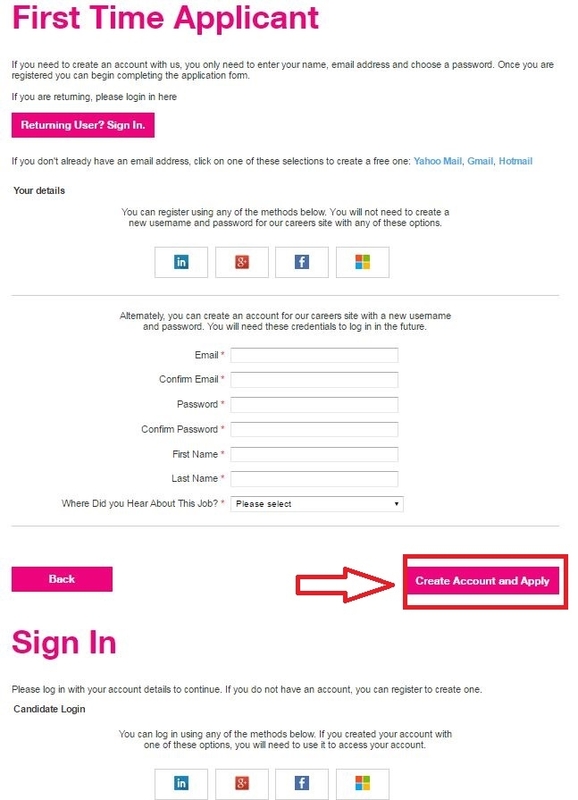 Fill out the required information such as email address, name and password and click "Create Account and Apply" to go to the next step. But if you have registered before, you can log in directly by entering your email address and password in the mandatory fields. 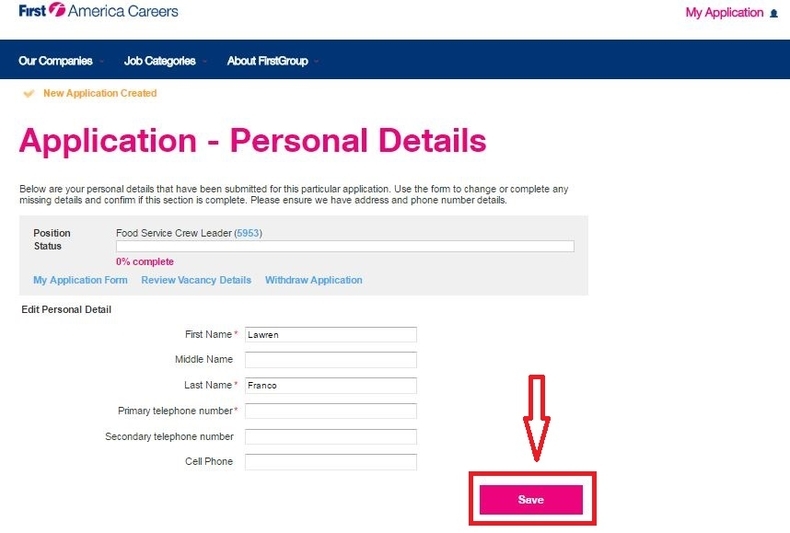 You need to fill out your personal details like name and primary number in this step. Click the button "Save", and you will enter a page on which the personal information you provided will be shown. You can click "Edit details" to change the information or click "Edit questions" to answer 7 questions to make your personal information more intact. 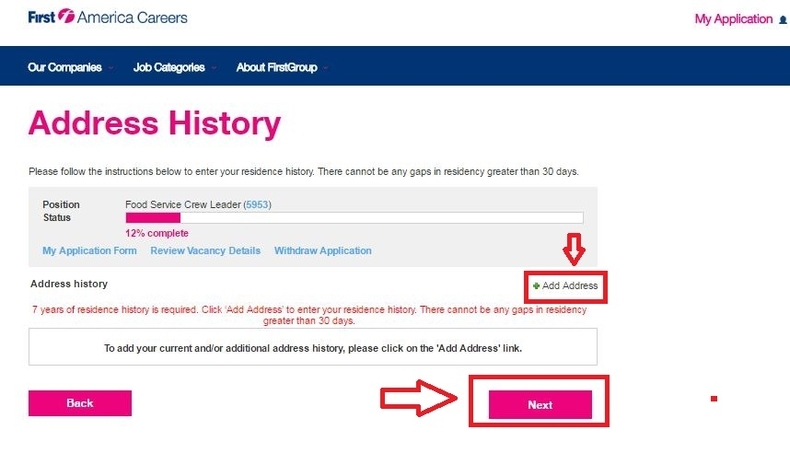 You are required to provide your previous address information in this step. Click "Add Address" to provide your address, residency date, country, city, state and zip code, then click "Continue" to further your online application. 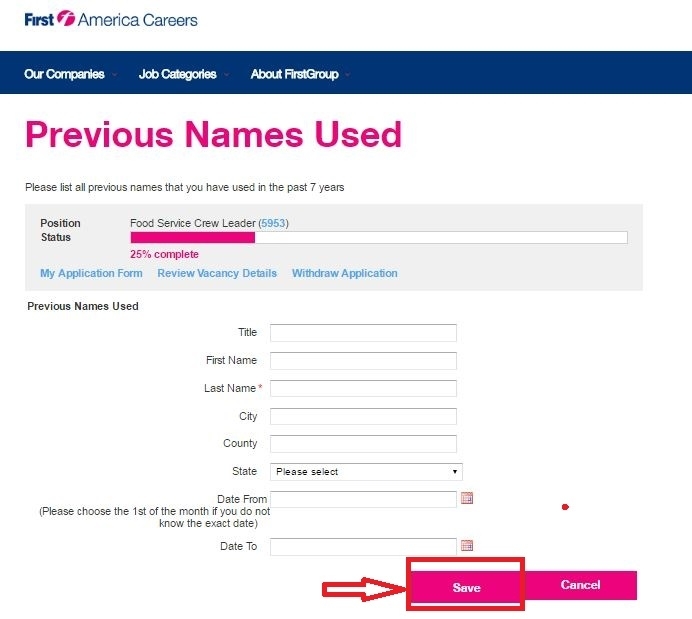 If you have your name changed before, please enter your previous name or names and other information as shown in the picture below in the required boxes, after which you can go to the next step by clicking the button "Save". 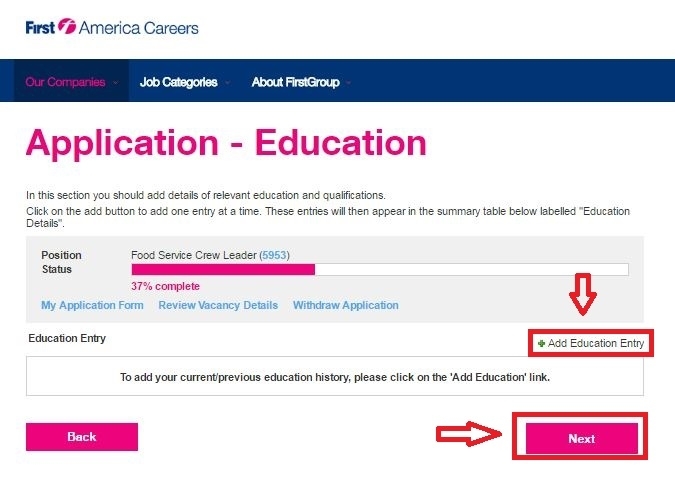 This step is a little complex since you have to provide your education background and employment history, fill out the voluntary disclosure form, upload your resume and agree to the applicant's statement and release step by step. Once a single step is done, just click "Continue" to go to the next step. With the nine steps above are completed, you've made your online application process totally finished. 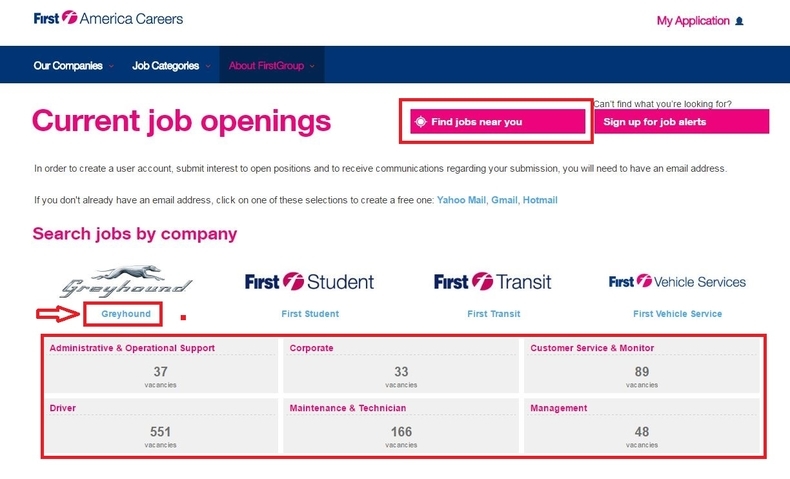 You can return to the homepage to search for more jobs by clicking the red button on this page. 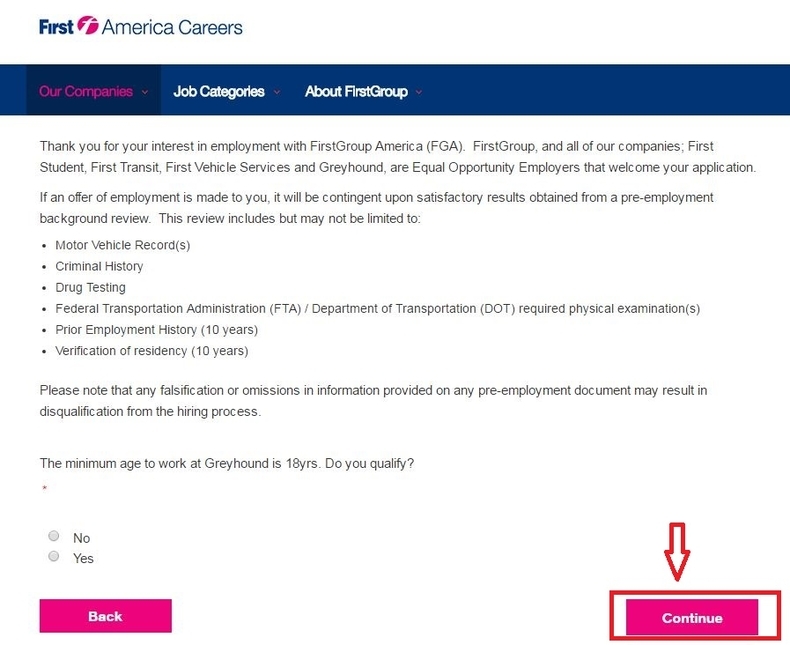 Click apply.firstgroupcareers.com to apply for Greyhound jobs online.